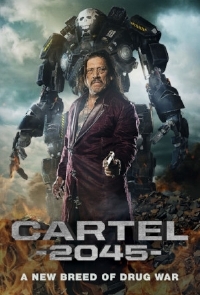 From director Chris Le, and starring screen sensation Danny Trejo (Machete, The Devil’s Rejects) with Alexander P. Heartman ("Power Rangers Samurai"), Brad Schmidt (“House of Lies”), and Blake Webb (“Colony”), Cartel 2045 pairs grindhouse and sci-fi in a unique grounded way. This looks pretty damn fun actually! Cartel 2045 premieres on VOD May 1 from Uncork’d Entertainment. OPEC does *not* mess around.